MORTGAGE – PREQUALIFY FOR YOUR MORTGAGE NOW! Real Estate Professionals Serving Greater Brandon, Florida and clients with Homes for Sale, Homes for Rent and anything you need to SEARCH or find in Brandon. 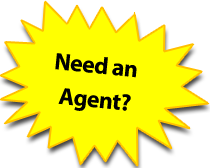 Homes for Sale, Homes for Rent - Real Estate Services by Realtors in Tampa FLORIDA, Lithia FL, Brandon FLORIDA, Circa FISHHAWK, Fish Hawk Trails, FishHawk Ranch, Channing Park, by FishHawk Realty and Real Estate Sales Center. © 2012-20192012-2014 REALTY and LISTINGS. "REALT or REALTY" and "REALT" are registered trademarks.